British Defence Secretary Michael Fallon insists he has “complete confidence” in the safety of Britain’s nuclear submarines, but refused to deny that they run on the Windows XP operating system that has been exploited in a major global cyberattack. Since Britain’s National Health Service (NHS) was walloped by the WannaCry ransomware, fears have arisen that the country’s military could also be susceptible because of its outdated computer systems. Friday’s attack affected 48 NHS trusts, forcing doctors unable to access patient files to cancel operations, and ambulances to divert to hospitals where systems were not down. The Guardian reported last year that the UK’s Trident nuclear program operates on a variant of Windows XP, which has been at the center of the global ransomware outbreak. 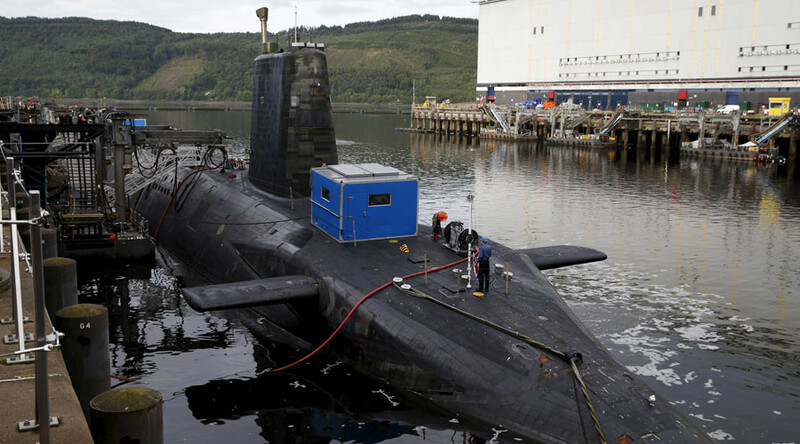 Speaking to BBC’s The Andrew Marr Show on Sunday, Fallon was asked if Trident nuclear submarines still run on XP, which Microsoft has stopped supporting. “We never comment on the different systems, obviously for reasons of security, that our submarines use,” Fallon explained. “Our vanguard submarines, I can absolutely assure you, are safe and operate in isolation when they are out on patrol and I have complete confidence in our nuclear deterrent,” he said. When Marr asked: “So there is no possibility of a malware attack against the military as we’ve seen against the NHS?” Fallon only provided a partial answer, focusing on the Trident system instead of the military as a whole. “I can assure you the nuclear deterrent is fully protected,” he said. Marr also questioned the defence secretary on comments he had previously made suggesting that Britain would launch a “strike first” using nuclear weapons on an enemy. “The key to the nuclear deterrent is to leave uncertainty in the mind of any potential adversary,” Fallon explained. “If he’s looking at a country to attack as to what kind of response he can expect – it’s to leave ambiguity in the mind of your enemies. That’s why we never rule out whether we would apply first or not,” he said.